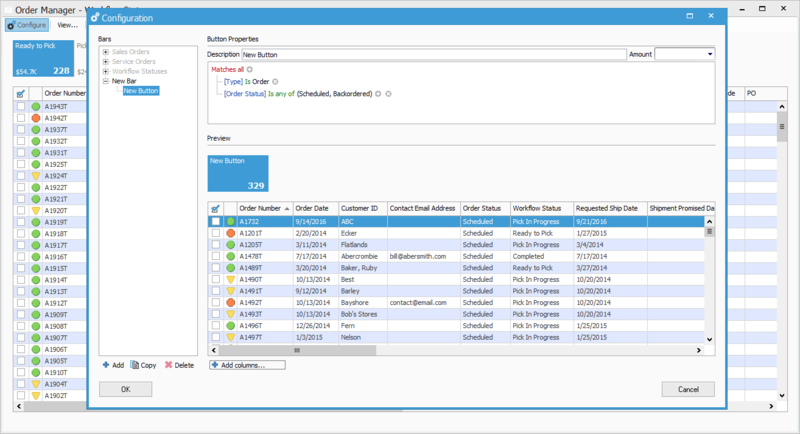 In order manager, users have the option to add or remove columns that appear for their custom bar. This will allow the user to remove extraneous information or add custom fields to their own bar views. Click on Sales > Order manager > Configure. On this screen you can either create a new bar or modify an existing bar. 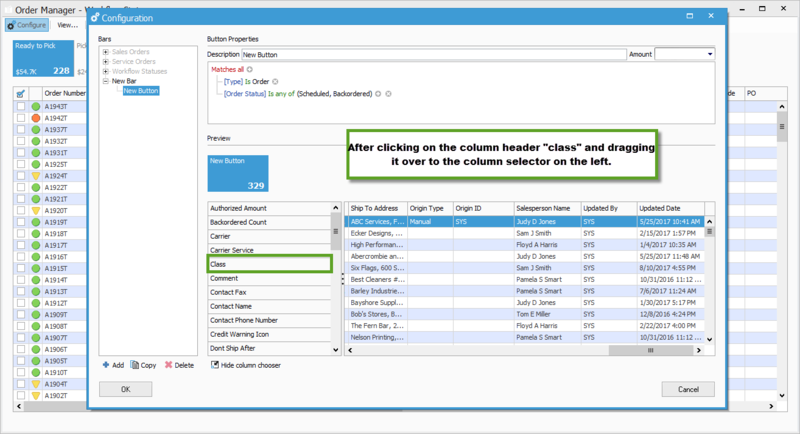 In this example, we will create a new bar just to show the column chooser window. Click on NEW > Enter in the name of the new bar, we can set it as “new bar”. Once a new bar is created, click on the Add Columns button at the bottom. Once clicked, the columns will be displayed on the left side of the preview layout. You can drag over columns that are needed or you can drag over columns that aren’t needed. Here we will remove the Class Column from the view by clicking the column name and dragging over to the list of columns on the left. Once we are satisfied with the layout, click OK. 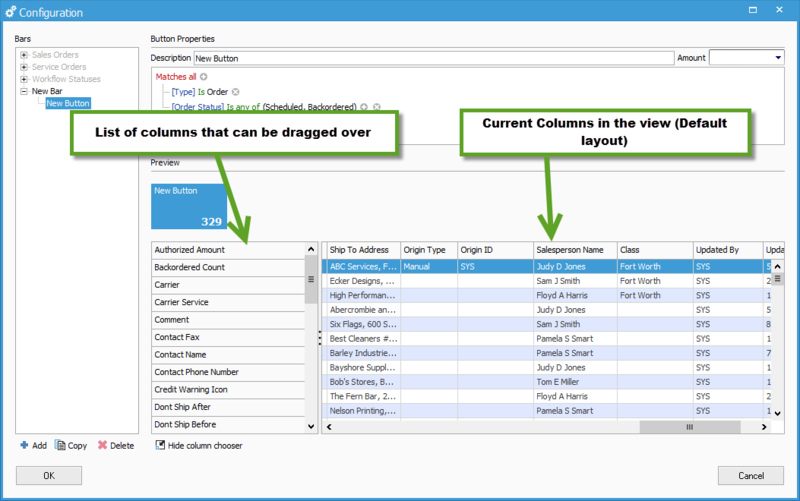 This will save the changes that were made to the bar column layout that can be accessed through the View button at the top of the order manager window > choose “New Bar” to load the Bar layout and also the column layout.